About Us – United County McDaniel - Gray Realty Inc.
Brookhaven is known as the "Homeseeker's Paradise," a name adopted in the early 1900s as a result of a contest held locally to find a nickname or motto that best described the community. Residents of Lincoln County are especially proud of the schools, industries, agriculture, recreation and medical facilities. 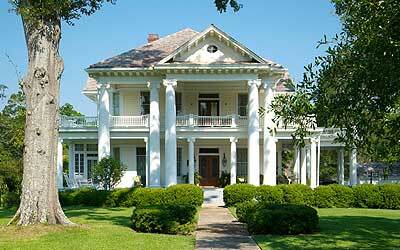 Lincoln County is located in the Piney Woods area of Southwest Mississippi. 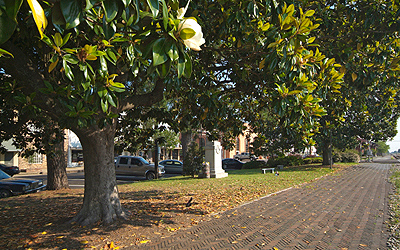 Brookhaven is 55 miles south of the state capital, Jackson, and 130 miles north of New Orleans via Interstate 55. Brookhaven was founded in 1818 by pioneer Samuel Jayne, who migrated to the area from his former home of Brookhaven in Long Island, New York. He and his brothers started a post office, store and mill along the Bogue Chitto River on land originally known as "Old Brook." For decades, the Old Brook trading post provided a recognizable stop for those traveling through the area. It took the building of the new railroad in 1858 to grow the small settlement into a town. Brookhaven has since survived and prospered over the years. Brookhaven reaches an average high of 92 degrees in August and an average low of 34 in January. Rainfall averages 5.5 inches a month, with most occurring between December and April. The school systems in Lincoln County - the Brookhaven and Lincoln County school districts - are among the best in the state. They provide 12 area schools including 3 high schools. Higher education needs are addressed by Hinds Community College, Alcorn State University, Mississippi College and Jackson State University, all within an hour of Brookhaven. King's Daughters Medical Center provides first class healthcare. The hospital staff includes over 30 active physicians and emergency specialists. The Brookhaven Parks and Recreation Program provides a variety of activities, including decorative painting classes, exercise clubs, bridge, flag football, soccer, karate, gymnastics, dancing, cheerleading, fast and slow-pitch softball, tennis, baseball, youth art, volleyball, basketball and scrapbooking. Throughout the Brookhaven area, you'll find many options for shopping and dining. In the downtown district, you can stroll block after block of tree-lined streets with historic facades as quaint shops, businesses and restaurants invite you inside. In the center of downtown, the Old Train Depot and the log cabin in Railroad Park make excellent places to pause and take a break. Bogue Chitto Water Park, Lake Lincoln State Park and Percy Quin State Park offer camping, hiking and water sports. Brookhaven is a great place to visit and an even better place to live. It's earned its title of "Homeseeker's Paradise." You'll understand how if you contact us today.